The Kansas City Chiefs' defence had heard the chorus of critics all season long, the ones that claimed their sieve-like line and shaky backfield would spoil young superstar Patrick Mahomes and cost them a chance to chase their first Super Bowl appearance in decades. Well, that defence is a big reason why the Chiefs are one step away. 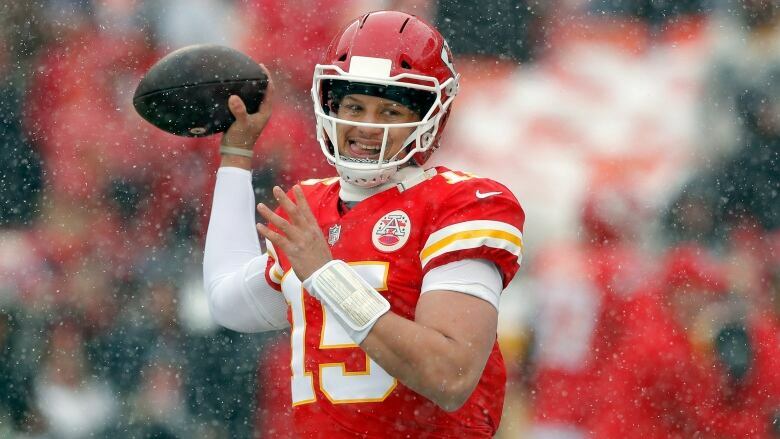 Mahomes and the rest of their own high-powered offence took care of the rest, rolling to a 31-13 victory in the divisional round to end 25 years of playoff frustration. The Chiefs set out to change history from the opening minutes, when they forced a three-and-out and then waltzed right over a Colts defence that nearly shut out the Texans a week ago. Mahomes and Co. scored on their first three possessions , then again just before halftime, to take a 24-7 lead. If there was any question whether this would be Kansas City's day, it was answered when Colts kicker Adam Vinatieri missed a 23-yard field-goal try off the upright just before halftime. It was the first time in 22 post-season attempts that he'd missed from that close. After shattering nearly every franchise passing record, Mahomes picked up right where he left off in his regular-season finale. He led the Chiefs on touchdown drives of 90 and 70 yards to open the game, quickly identified a favourite target in Travis Kelce, and shook off a banged-up knee to scramble for a touchdown late in the first half to give his team a big cushion. Of course, the Chiefs (13-4) didn't need it the way their defence was playing.